Another stop-motion animation?! We swear this is the last one! An awesome Halloween flick from the studio that brought you Coraline, ParaNorman is a hilarious movie that demands to be watched again! ParaNorman is, you guessed it, about a kid named Norman who sees dead people! That may remind you of another movie but this couldn't be further from it. Norman embraces his connection with the dead, despite not understanding it. He is tasked by his deranged uncle - wonderfully played by John Goodman - to perform a ritual and end a witch's curse. It's a morbid story set against the suitably spooky backdrop of Massachusetts, and features the voice talent of Anna Kendrick, Kodi Smit-McPhee, Casey Affleck, Christopher Mintz-Plasse, Leslie Mann, and the aforementioned John Goodman. 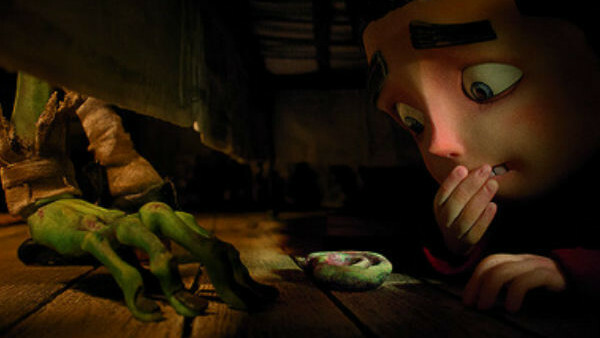 ParaNorman is Laika Entertainment's best movie, yes even better than Coraline, but it's also criminally underrated. It's a terrifically funny movie and carries the same Halloween spirit as Hocus Pocus, The Nightmare Before Christmas, and Beetlejuice. It also boasts some of the best stop-motion animation you'll ever see. Seek this movie out ASAP!